Endowment assets aligned with institution values and mission can reap positive financial and social returns. Higher education is one of the few sectors designed to think and act for the long-term good of society. In numerous ways, the sector’s diverse institutions educate the nation’s future leaders and professionals, help solve current problems, anticipate tomorrow’s challenges, and set a behavioral model for society. As one example, through Second Nature’s Presidents’ Climate Leadership Commitment, more than 600 colleges and universities have made a publicly accountable commitment to become carbon neutral in their operations, build resilient campuses and communities, and transform education in line with these goals. It is appropriate that colleges and universities intentionally seek to align all their actions—including investments—with social good, because it is within the mission of higher education to support the maintenance and renewal of civilization. For this reason, many colleges and universities are being asked to meet the financial needs of their respective institutions through investment strategies that also align with their larger mission and with environmental, social, and governance (ESG) goals. For many institutions, investing for positive societal impact may represent somewhat new territory. In broad strokes this involves and integrates sustainability concepts, social responsibility, and consideration of ESG factors in the investment process. This activity goes by various names. Some call it “socially responsible investing” (SRI); others refer to “social” or “sustainable investment,” “ethical investing,” or “impact” or “impactful” investing. Regardless of nomenclature, this emerging focus is a result of major societal challenges, such as climate change, resource scarcity, human rights, income inequality, water shortages, chronic health concerns, technological advancements, and evolving social values—of interest especially for millennials who will make up the majority of the workforce by 2025. Within higher education, ESG factors are gaining acceptance and momentum, in part, due to changing donor and alumni demographics, and growing interest and pressure from students, faculty, and alumni. The challenge for administrators and trustees is to understand and cope with these changes in ways that enhance long-term, risk-adjusted investment success and help mobilize private-sector capital to have positive health, social, and environmental effects. Until recently some higher education institutions have focused primarily or solely on screening out negative or undesirable individual activities or business sectors such as alcohol, tobacco, firearms, fossil fuels, or private prisons. Many investment consultants, managers, and higher education and other public purpose institution asset owners are now looking at what they should invest in to get a strong financial return that is aligned with their mission and contributes to improving society—literally doing well by doing good. They are doing so by considering systematic ESG criteria in investment decision making because these criteria are deemed material to making good investment decisions. College and university endowment managers are legally obligated to ensure their endowments are maximizing returns while minimizing investment risks to support institution mission and operations. 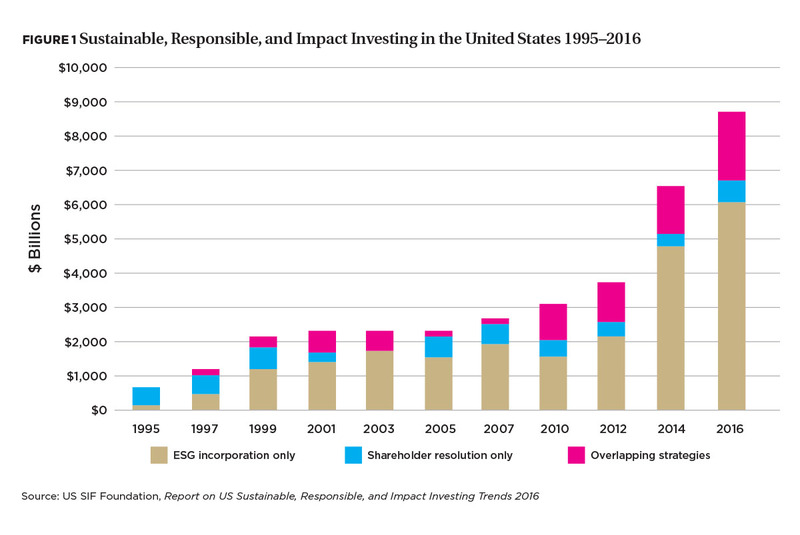 With regard to ESG-focused investment opportunities, asset owners must still ask important questions about financial costs and benefits, fiduciary duty, availability of investment opportunities, and organizational implementation. That said, one of the biggest myths about ESG-focused investment is that these vehicles either represent a narrow niche or are not successful. In fact, there is a large and growing body of evidence indicating that investors need not sacrifice financial returns by considering mission or ESG factors. Indeed, utilization of ESG criteria in investing is an excellent additional tool in obtaining strong risk-adjusted returns, especially for the long term. According to The Top-Performing Sustainable Funds—an October 2017 special report from Barron’s on funds covering 8,000 companies—37 percent of the funds that used ESG strategies outperformed the S&P 500 for 12 months, compared with 28 percent of actively managed U.S. large-cap stock funds. One metadata study of more than 2,000 empirical studies over four decades, published in 2015 by the Journal of Sustainable Finance & Investment, found that roughly 90 percent of companies with high ESG ratings demonstrate no difference in financial performance, and the majority outperform industry peers. The University of California Regents Investment Office, which manages approximately $100 billion, is developing ESG strategies across its investments and has committed to investing at least $1 billion in solutions to climate change by the end of 2018. In 2016, the University of Massachusetts Foundation was the first major public institution to announce it would divest from all direct fossil fuel holdings. It will also use ESG factors in all investing. San Francisco State University Foundation committed to fossil fuel divestment, allocated $5 million to establish a green investment fund, and created a $500,000 student-managed socially responsible investment fund. Furthermore, ESG factors have been shown to have positive influences on long-term value, volatility, and reduction of risks of specific investments. And, major societal challenges provide great opportunity for institutions to pursue what their stakeholders wish to support—from community infrastructure to innovations that solve societal inequities and chronic health issues, provide new-economy jobs, and address climate-related challenges. As with any investment product, some ESG strategies (and managers) perform better than others and other comparable non-ESG strategies and managers. Recent guidance from scholars, the Department of Labor, and the IRS indicate that considering ESG or mission-related factors in the investment process is in line with fiduciary duties. Increasingly, industry experts are making the case that fiduciary duty requires that ESG factors be considered, because they are material to (1) the success of the institutions in which they invest and (2) trustees’ obligation to maintain intergenerational equity and opportunity—the very purpose of endowments. Utilizing this more comprehensive approach to investing will require some organizational attention in a number of ways. An important step is to re-examine the institution’s mission, purpose, and operations, and how they flow into its investment policy. Expanding the knowledge of trustees, foundation, and investment staff and the process of decision making around broader ESG factors and desired financial and societal impact will be necessary to work effectively with consultants and investment managers on investment policy and decision making. Most importantly, there is no right or singular way to achieve success with ESG investing. Each institution must chart its own course aligned with its culture, circumstances, and governance processes. This cannot be accomplished overnight. It takes time to get trustees, administrators, staff, investment professionals, and other institution constituents on board and to make adjustments in investments. While assessing ESG and impact criteria is not easy, there has been rapid growth during the past 10 years in assessment vehicles, information, and the knowledge of investment consultants and managers. Likewise, the numbers and types of investment vehicles and opportunities for all types and sizes of endowments are quickly expanding, though they are far from being universal. Important to note is that these principles and practices are scalable no matter the size or type of institution and endowment. In September 2017, investment firm BlackRock Inc., and Pitzer College, Claremont, Calif.—which according to the 2017 NACUBO-Commonfund Study of Endowments has an endowment of approximately $137 million—announced a first-ever global equity index fund through MSCI that is both ESG-focused and fossil fuel-free, with Pitzer College as the founding investor. The fund is designed to help endowments, foundations, and other nonprofit organizations meet their sustainable investment goals. As with Pitzer, the two institution case studies that follow, “A Cooperative Path Toward Divestment,” featuring Lewis & Clark College, Portland, Ore., and “Matching Investments to Mission,” featuring Becker College, Worcester, Mass., show that smaller institutions are equally equipped to assume a more intentional investment strategy that aligns with institution mission and values. And, they prove that active engagement with stakeholders across the entire campus can help expedite the time required to move boldly in this direction. ANTHONY CORTESE is principal of Intentional Endowments Network, Essex, Mass. One of the biggest myths about ESG-focused investment is that these vehicles either represent a narrow niche or are not successful. ESG factors have been shown to have positive influences on long-term value, volatility, and reduction of risks of specific investments. College and university presidents, trustees, and endowment managers need not forge a pathway focused on environmental, social, and governance (ESG) investment practices on their own. The Intentional Endowments Network was created in 2014 by a number of higher education, nonprofit, and investment industry leaders as a peer learning community to provide a venue and resources for busy endowment decision makers to learn about and stay up to speed with this emerging and dynamic field, and address these issues in ways that are appropriate to their institution’s values and culture. IEN works collaboratively with and through existing organizations and initiatives to leverage synergy in promoting intentionally designed endowments that consider the full range of impacts—financial, social, and environmental—of investment practices. The network does this in a variety of ways, including hosting in-person forums and events; facilitating peer networking; curating resources on sustainable investing opportunities; and providing educational venues for information exchange around a variety of sustainable investing strategies, such as ESG integration, impact investing, and shareholder engagement. Intentionally Designed Endowment Primer provides a general background on the interrelated concepts of socially responsible investing (SRI), ESG, and sustainable investing. The Business Case for ESG briefing paper helps endowment stakeholders understand what ESG investing is, how ESG investing and analysis can be approached, and how ESG investing strategies perform financially. 1. Intentionally designed endowments, aligned with institutional mission, values, and sustainability goals, become the norm in higher education and other tax-exempt organizations, evidenced by growth in policies, practices, and actions. 2. 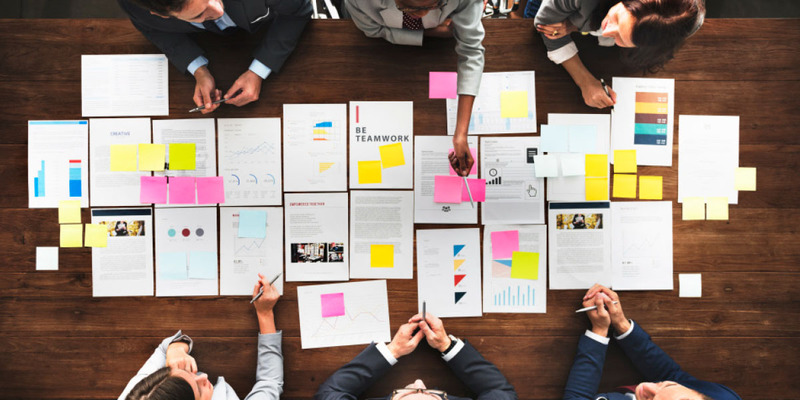 Improved sustainability performance by businesses in response to investor concerns are evidenced by changes in corporate reporting, policies, and behaviors related to investor demands and shareholder resolutions.